IT WAS a mixed bag for hospitality businesses in and around Mooloolaba during yesterday's Ironman 70.3 Sunshine Coast event. For some, the competition, which drew an estimated 5000 competitors and spectators, meant a busy day, with more staff and bigger stock orders. Good Bean coffee shop owner Shane Hepburn said they had stocked up on supplies in anticipation of a bumper weekend. "We ordered in about 30% more (milk and coffee), it's pretty substantial," Mr Hepburn said. "We've been really busy this morning." Mr Hepburn said events such as the Ironman were vital to keep the till ticking over during the off-season. Via Italia owner Luke Searson said the eatery had targeted competitors in the lead-up to the event. "We run a 'carb-loading' thing for the guys, we put on fairly cheap pasta," Mr Searson said. "It takes about two weeks' planning for us to get this together, but these sort of events in Mooloolaba are awesome." Mr Searson said the restaurant ordered in about 50% more produce to cope with demand during Ironman 70.3, and he believed most customers during the event were competitors. "We've seen about 70% new faces," he said. 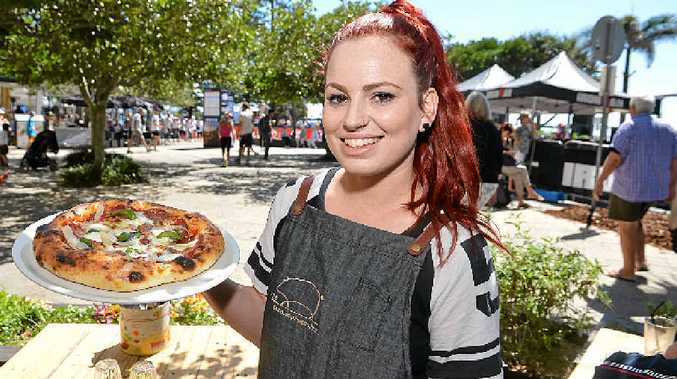 However, for new Alexandra Headland restaurant Black Bunny Kitchen, the event transpired to the quietest Sunday in the six weeks it had been open. Owner Aimee Collins put the empty tables down to road blockages in place during the event. "Everyone is so confused," Ms Collins said. Closer to the action, a cafe owner located on the Mooloolaba Esplanade said the noise from the loudspeakers was detrimental to business. The owner, who asked not to be named, said the venue experienced the same problem each year and had complained to the council and event organisers. Ironman 70.3 marketing manager Courtney Akrigg said organisers had not received any negative feedback, but would take all comments on board for next year. "We do a lot of business-to-business consultation, and we make sure we speak to all the businesses," Ms Akrigg said. 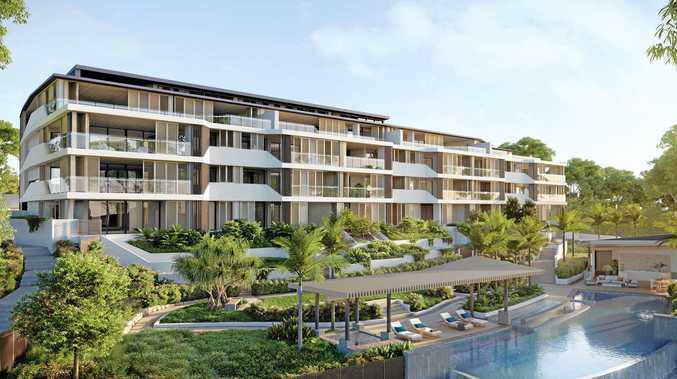 "The buzz in Mooloolaba is amazing. It's got that really busy feel. You walk past the cafes and they are full," she said.